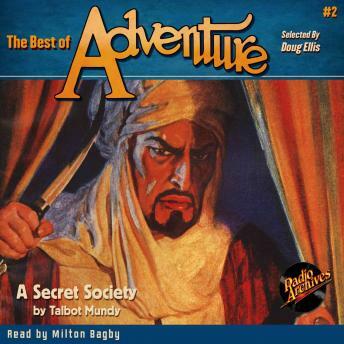 The second addition to The Best of Adventure is A Secret Society. Talbot Mundy was the one Adventure author whose popularity exceeded even that of Lamb, and his character James Schuyler Grim - better known as Jimgrim - is one of his most enduring heroes. An American who initially is a British Secret Service Agent, Jimgrim and his band of fellow adventurers fought their way across the Middle East, India, Tibet and other foreign climes in 19 thrilling tales published in Adventure between 1921 and 1931.